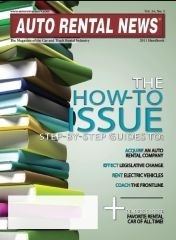 Auto Rental News is a publication for management of car rental operations. It is published by Bobit Business Media, which also publishes Automotive Fleet. The circulation of the magazine is directed to all system headquarters, airport, and local car and truck independent and franchised car rental agencies.